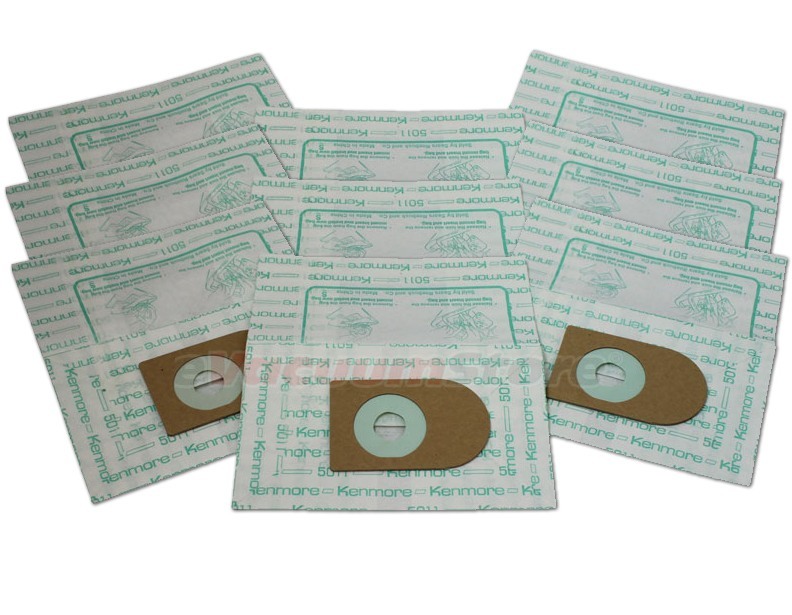 These Kenmore vacuum bags replace part numbers 20-5001 and 20-5011. I ordered these for my mother, and they were exactly what she needed to fit her very old Kenmore vacuum. Finally the rt ones for my ancient sweeper. Sears did not have these, even with shipping they were only a dollar more than the wrong pk of 8 I got at Sears. They did take them back and refunded my money.